We have recently finished a new website for a financial consultant out of St. Louis. Michael Martin contacted me with a summary of his new business and a drive to market himself online. Treading on some new ground, Mike wanted to sell a credit manual. We used Google Checkout to create a easy way to buy. It is a great opportunity to work with a business of out St. Louis and to help another small business get on the radar. 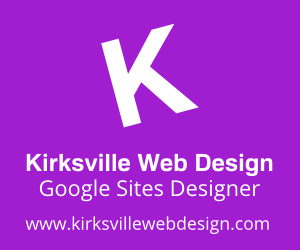 Thank you for your business to Kirksville Web Design!